Online Government job applications are invited from all eligible Indian candidates for the recruitment of 299 vacant positions of Assistant Engineer posts. 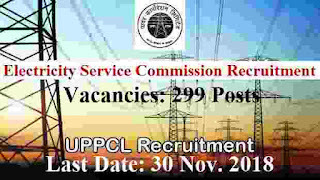 All diploma holder can apply for this Electricity Service commission Recruitment process 2018. This is a great opportunity to all fresher candidates to grab a Government jobs as an Engineer. More information related to this Government job recruitment process is given below in this article. Read out the complete article carefully before applying online for this Electricity commission recruitment process 2018. Applicants having Diploma In Electricity engineering can apply. Candidates having diploma in Computer Science stream. Those who have Diploma in Elect. & Tele can apply. 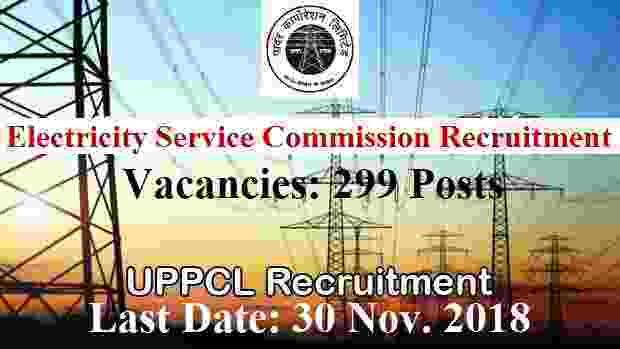 Having diploma in Civil Engg can apply for these job profile under this UPPCL Recruitment 2018. Age Bond: Applicants age must be in between 21 years to 40 years. Those who lies in this age criteria can apply for this UPPCL Recruitment 2018. Candidates can pay the Examination Fee through one of the following way: “Debit Card, Credit Card, Net Banking”.